Welcome to Clinician’s Roundtable on ReachMD. Here’s your host Dr. Matt Birnholz. From the ReachMD studios in Fort Washington, PA, I’m Dr. Matt Birnholz. On this episode we caught up with Dr. Mark Lebwohl, professor and chairman of the Department of Dermatology at The Mount Sinai School of Medicine. Dr. Lebwohl shared with us a challenging case of a patient suffering from both psoriasis and crohn’s disease. I can think of one right off the bat, and it’s a patient who had Crohn’s disease, was treated with the TNF blocker. And TNF blockers can cause psoriasis, and the patient developed severe psoriasis, and it was clearly involving the palms and soles, which is characteristic of TNF blocker-induced psoriasis. The patient also had bad arthritis that responded well to the TNF blocker. The psoriasis got dramatically better, but the arthritis got worse. We then discussed the possibility of using an IL-17 blocker, which works very well for psoriasis and for psoriatic arthritis, but unfortunately, it can cause flares of Crohn’s disease. Her gastroenterologist would not hear of it, so we couldn’t give her that. And lately, we have been discussing with her gastroenterologist the possibility of treating her with an IL-23 blocker because those, generally, are actually good for psoriasis. The problem is they’re not great for psoriatic arthritis. So, we are still in a dilemma because her arthritis flares badly when you take her off the TNF blocker which causes her to have bad psoriasis. That was Dr. Mark Lebwohl sharing this patient case with us. From the studios at ReachMD, I’m Dr. Matt Birnholz, thanks for listening. This is Clinician’s Roundtable on ReachMD. To access other episodes of this series, visit www.ReachMD.com where you can be part of the knowledge. 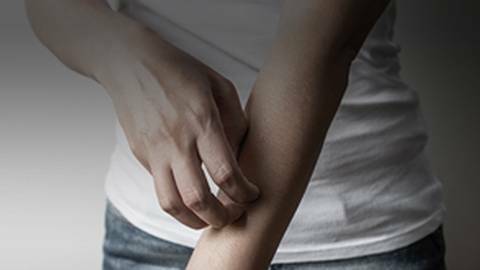 Since psoriasis is such a complex disease, it’s not uncommon to encounter challenging patient cases like this one in practice. 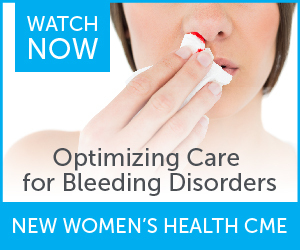 Tune in as Dr. Mark Lebwohl, professor and chairman of the Department of Dermatology at The Mount Sinai School of Medicine, shares a challenging case of a patient with both psoriasis and Crohn's disease.